We are Group i, a San Francisco-based real estate development company devoted to creating high-quality mixed use developments. 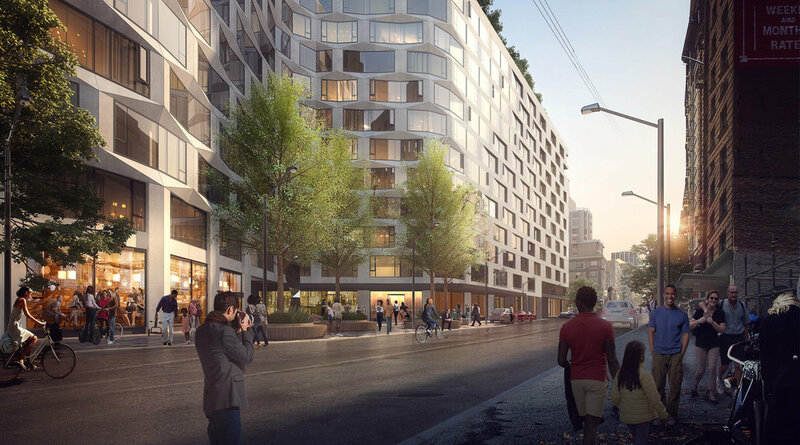 We are proud to launch 950-974 Market, which aims to thoughtfully transform the block of Mid-Market between 5th and 6th streets into a community anchor with hospitality, housing, and retail space. The project will enliven the neighborhood by providing room for a wide range of activities, including a dedicated non-profit space for Magic Theatre at the corner of Turk and Taylor, a community open space on Turk Street, outdoor food and beverage garden, event space, a selection of retailers, and a landscaped rooftop. 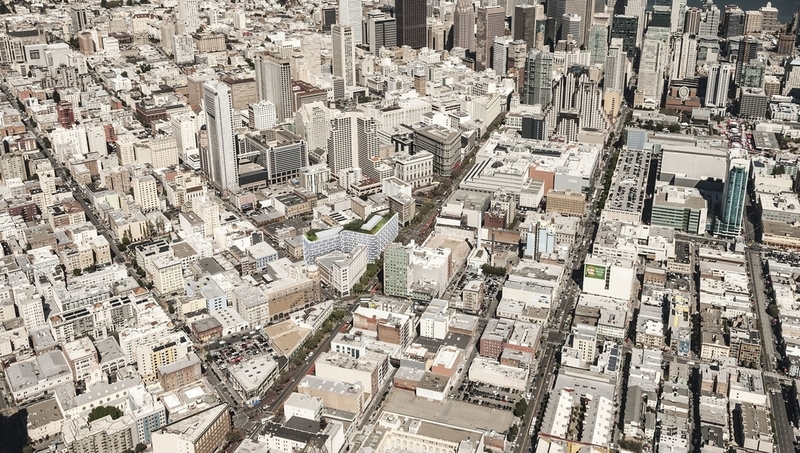 We envision 950-974 Market becoming the gateway to Mid-Market. 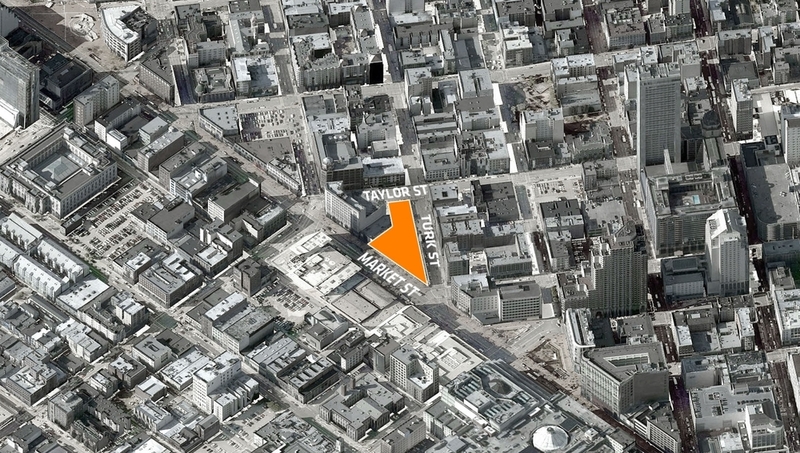 The site’s location bridges the culturally rich and diverse Tenderloin neighborhood with the retail and commercial district of Market Street and Union Square. 950-974 Market will not only energize and reactivate the block of Market between 5th and 6th Streets, it will also pay close attention to its neighbors on Turk and Taylor Street to ensure there is a sense of shared experience around the project. 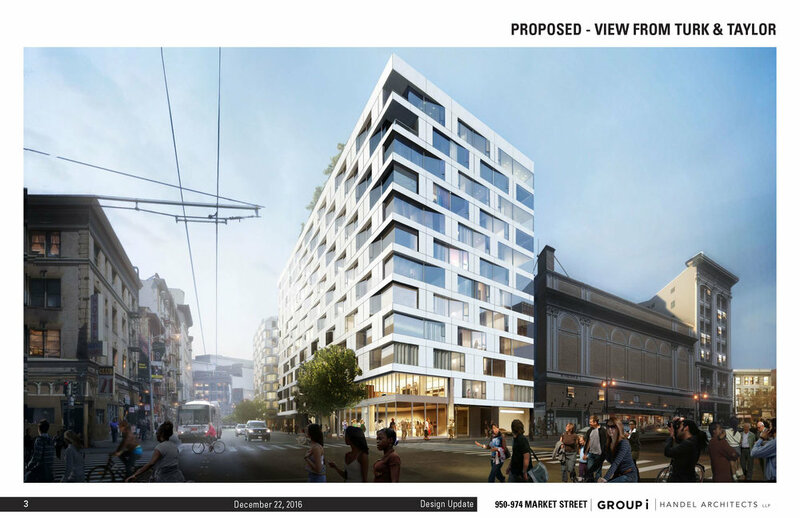 The building design addresses the challenging proportions of the irregularly-shaped site on the corner of Market and Turk Streets with an eye toward creating an urban hub for the Mid-Market neighborhood. The proposed design is comprised of a hotel, housing, retail, and a non-profit space, and adheres to the site’s 120-foot height limit. Strategically-placed publicly accessible open spaces on Turk Street as well as ground-level retail space will activate the public realm and ensure a dynamic presence in the surrounding neighborhood. Residents, hotel guests and visitors may enter the property from both Market and Turk Streets. The hotel lobby provides a mid-block connection between the Mid-Market and Tenderloin neighborhoods. Reconstructed and widened sidewalks along Turk Street offer flexible outdoor spaces for gatherings, exhibits, and small performances. Additionally, the primary hotel guest drop-off, located on Turk street, encourages guests to explore the Tenderloin neighborhood. A series of retailers with storefronts that feature floor-to-ceiling windows provide a transparent connection to the street. At Group i we’re interested in re-invention. In the case of Mid-Market, we want to create approximately 242 new residences in the City’s core – urban, creative, moderately-priced homes located near public transportation, jobs, and the epicenter of city life. We are focusing on creating smaller homes in order to attract first-time buyers. Compact, creative space with efficient open floor plans will be designed with professionals, creatives, and urban dwellers in mind. Group i is pursuing the development of off-site affordable housing in the neighborhood while working in close coordination with the Mayor’s Office of Housing and Community Development (MOHCD), the Tenderloin Neighborhood Development Corporation (TNDC), and Tenderloin Housing Clinic (THC). The developer has outlined terms for the land dedication and in-lieu fee payment to meet the neighborhood’s affordable housing needs. Group i will purchase and deed the land at 180 Jones Street to the MOHCD, which has committed to preserve the deeded site for an affordable housing development. As a result, between 60 and 70 new efficiency affordable housing units will be available in the Tenderloin neighborhood. To finance the development, Group i will establish the 180 Jones Street Affordable Housing Fund, to which it will make approximately $12.8M fee payment and an additional $2M gift, to be administered by the MOHCD for its construction. A third party consultant has finalized an equivalency study and concluded that this offsite affordable housing proposal would be a fair alternative to onsite affordable housing provision. Group i seeks a hotel partner that shares a dedication to unique experiences, integration of the arts, and community engagement. The hotel will be distinguished by individuality, both in concept and design, taking into consideration the historic fabric of the neighborhood and the importance of local connections. Stay tuned for an announcement once the hotel operator is finalized. San Francisco is home to a number of unique retail concepts that have been incubated throughout the City’s iconic neighborhoods. By providing approximately 13,000 square feet of ground-floor retail space, we hope to attract a variety of venues for dining, entertainment, local wares, and neighborhood services that will activate the sidewalks and celebrate the unique diversity of our city. Group i will also provide funds for a community-serving retail space either on site or in a nearby location – please stay tuned for more details. Group i spent the last few years talking to non-profit stakeholders in order to identify a partner that could both create a sustainable and dynamic program to activate the corner of Turk and Taylor, and bring the local community to the project. After much dialogue, Group i selected Magic Theatre which will launch its community-focused Magic Lab aimed at bringing together youth, education, community-building, workforce development and the arts. This space will be provided free of charge and in return Magic Lab will provide high quality community-driven programming throughout the morning, daytime, and evening hours.